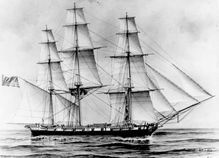 Type and Characteristics - Sailing sloop, built by New York Navy Yard, commissioned 11 June 1826, 691 long tons, 127ft long x 33ft 6in beam x 16ft 6in draft, armed with 24-24pdrs, 190 crew, first commanded by Master Commandant William B Shubrick. Later converted into storeship with 6-32pdr carronades. 18 June 1853 - Departed New York to join Cdre Perry's Squadron for his expedition to Japan. 13 February 1854 - Entered Tokyo Bay with Cdre Perry on his second visit. 1854 - Remained in the Far East. 26 February 1855 - Decommissioned after returning to New York. 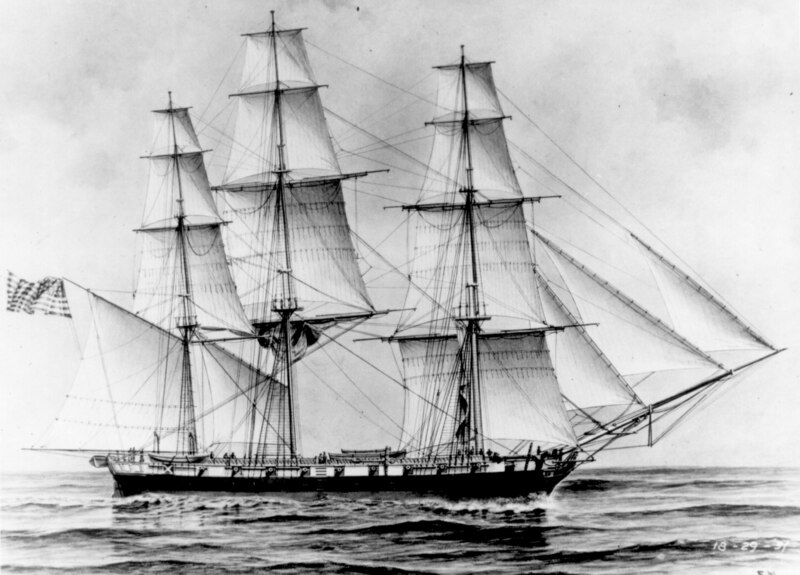 Fate: Decommissioned in New York 26 February 1855, sold 1860.